Before this week, Venezuelans needed stacks of cash to buy the most basic goods. In a desperate bid to curb its runaway inflation rate, Venezuela has lopped five zeros from its currency. The move yesterday, which came along with a 95% devaluation of the currency—known as the “strong bolívar”—was also accompanied by a hike in gas prices and a 3,000% increase in the minimum wage. 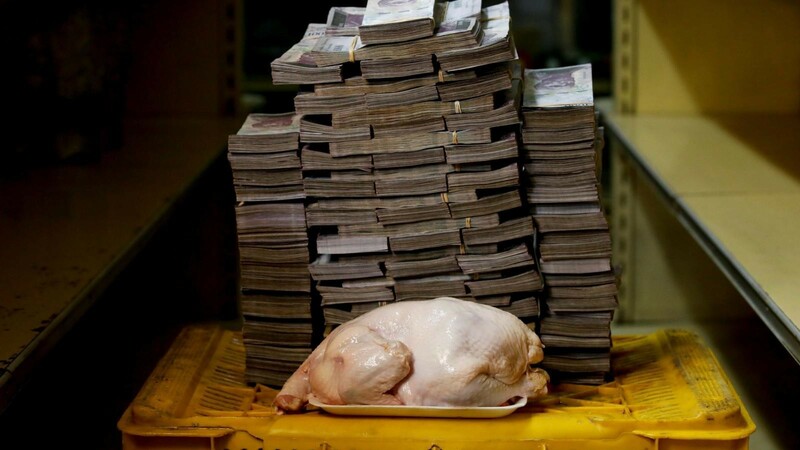 A 2.4 kilogram chicken cost 14,600,000 bolivares ($2.22) before Venezuela slashed five zeros from its currency. New banknotes for the currency, now called the the “sovereign bolívar”, were introduced. The redenominated bolívar is now pegged to the petro, a state-run cryptocurrency that doesn’t trade and some consider a scam. 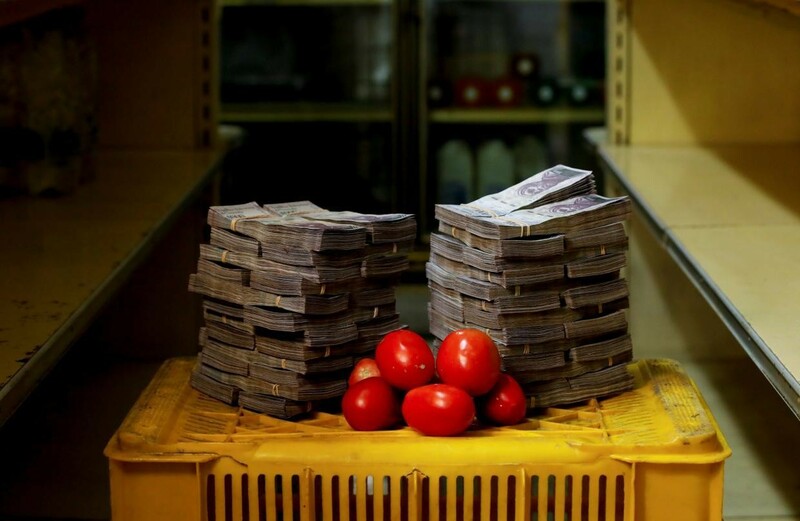 A kilogram of tomatoes cost 5,000,000 bolivares ($0.76) before Aug. 20. In a more practical sense, though, the move will lighten the load. Before this week, Venezuelans needed stacks of cash to buy the most basic goods, as captured by a remarkable series of photos by Reuters. With the IMF predicting that inflation will hit 1,000,000% by the end of the year, this latest fix may not last very long. 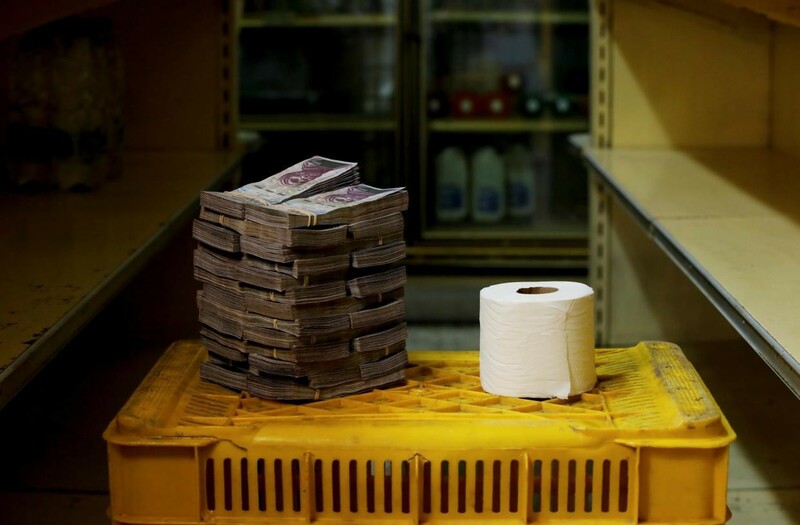 A toilet paper roll cost 2,600,000 bolivares ($0.40) before Aug. 20. 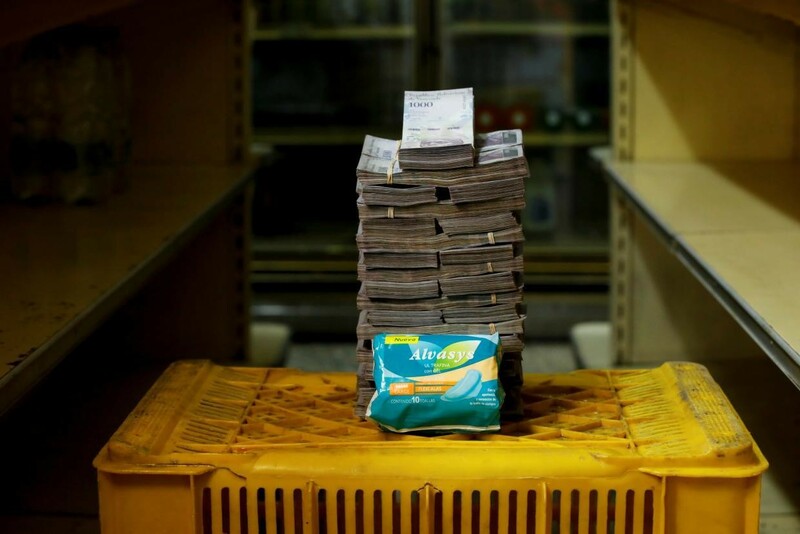 A package of sanitary pads cost 3,500,000 bolivares ($0.53) before Aug. 20. 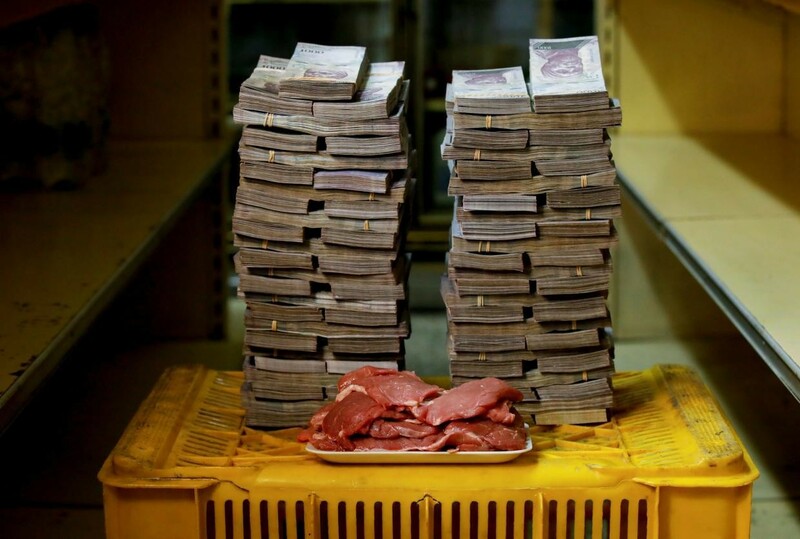 A kilogram of meat cost 9,500,000 bolivares ($1.45) before Aug. 20. 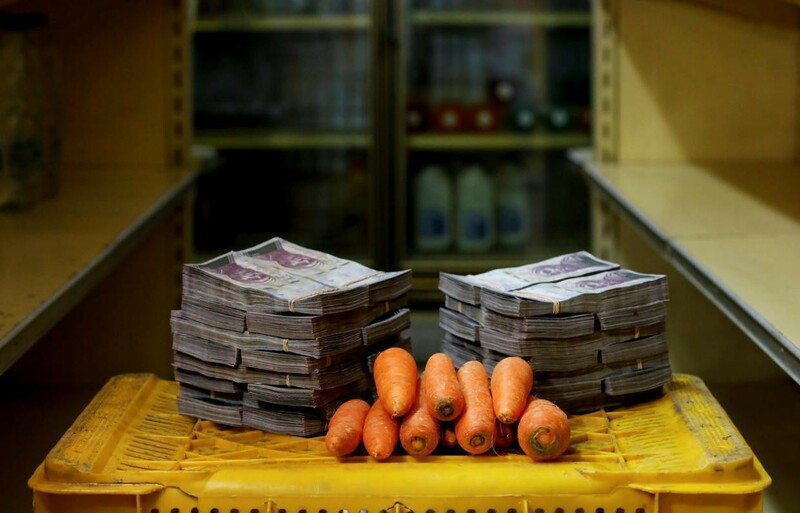 A kilogram of carrots cost 3,000,000 bolivares ($0.46) before Aug. 20. Venezuela was once twelve times richer than China. What happened? 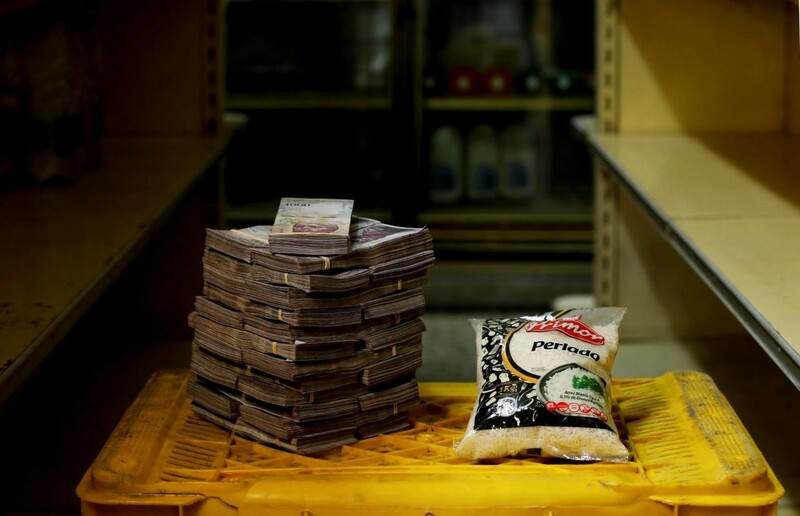 A kilogram of rice cost 2,500,000 bolivares ($0.38) before Aug. 20. 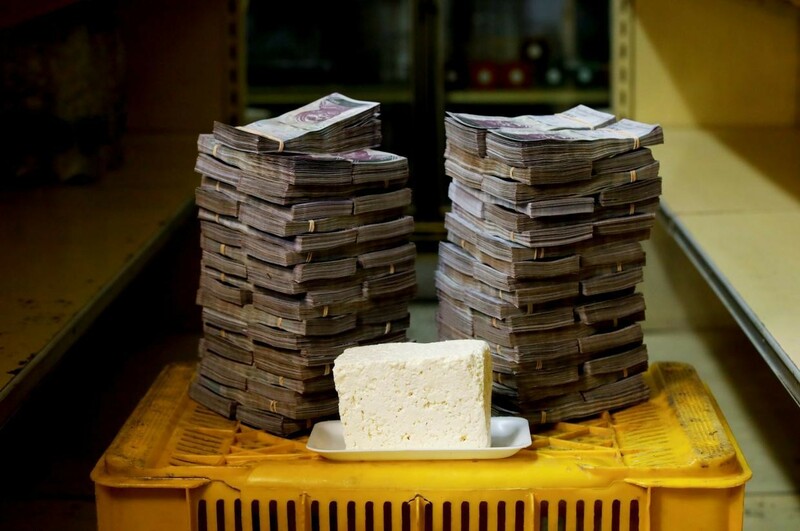 A kilogram of cheese cost 7,500,000 bolivares ($1.14) before Aug. 20. 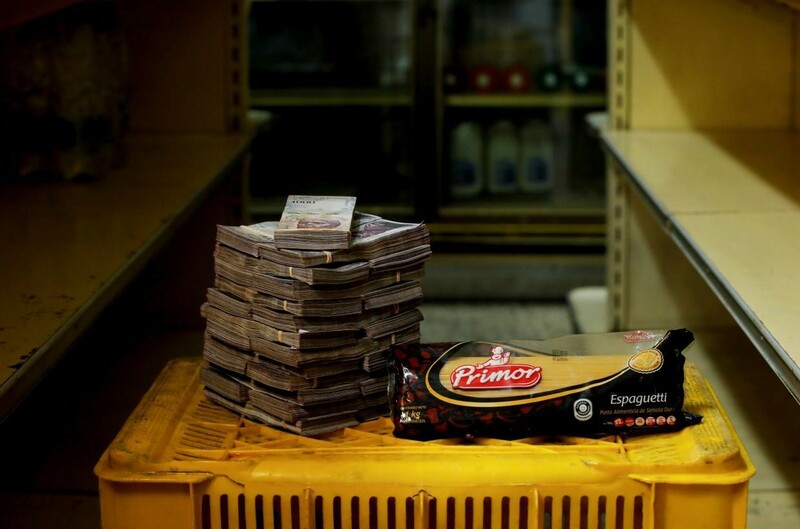 A kilogram of pasta cost 2,500,000 bolivares ($0.38) before Aug. 20. This article is published in collaboration with Quartz.